Instagram rocks! It is consistently adding users, especially ones that are young, engaged and ready to follow someone great, like you. There are millions of Instagram users just waiting to see more of your personality, buy your product and follow you around the world. It is a platform that wants to showcase the best, the best of you. Instagram stats show the top ten celebrities with the most followers for the month of October 2017. In the number one spot is Selena Gomez with 128 million followers. Yes, million. Close behind is Ariana Grande with 115 million followers, Cristiano Ronaldo with 113 followers andBeyoncé with 107 million followers. Also on the list with millions of followers are, in order, Taylor Swift, Kim Kardashian, Kylie Jenner, The Rock and Justin Bieber. These celebrities turn those millions of fans into millions of dollars, right there from their Instagram accounts. Companies pay celebrities to promote their products in their Instagram photos. Celebrities and non-celebrities are finding fun ways to promote their own products, whether it is a new record, jewelry, beverages or clothing. With a big enough Instagram following, you can leverage your Instagram account into an extra revenue source. Your name could be on this list. You could be like these top ten celebrities. You could grow your Instagram following and it is a lot easier than you think. 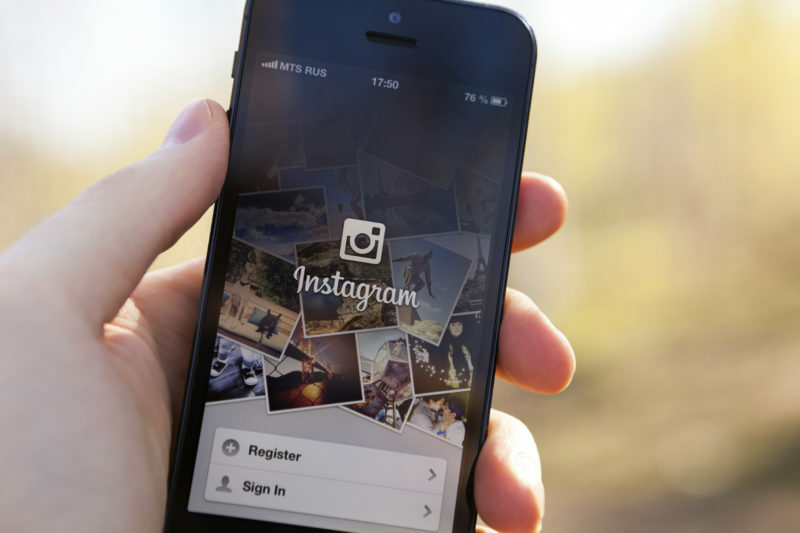 Follow these six steps to grow your Instagram following and start becoming your own Instagram millionaire. If you are visiting some place amazing, let others know about it. Use the location tags in Instagram. This is a creative way to give attention to the local community, as well as promote what you are doing there. When local people hear of something fun going on in the community, they tend to want to check it out. And when they start spreading the word through Instagram, people start showing up. Whether you decide to leave before the crowd gets there, that’s up to you. But you are doing an admirable thing by highlighting the community you are visiting. You are also gaining new followers. Hashtags can be confusing. They can even make you think of breakfast hash browns if you haven’t eaten in a while. Just like breakfast is the most important meal of the day, hashtags are the way to grow your Instagram following. Checkout the most popular Instagram users. You will see multiple hashtags under each of their posts. They do this to target groups and companies they want to attract. The key is to tag people, products, places or corporations that will share your photo with all their followers. First, let’s be clear. You can’t just tag a random company with any old photo and expect it to go global. Your photo must be beautiful and include their product or service. Make the message positive. Make it fun and inspiring. For example, if Dr. Dre is your all-time favorite and you want to get noticed by him and his billion-dollar empire, post an inspiring picture of you using one of his products during an event, or at home, or anywhere. Hashtag Dr. Dre in the post and see what happens. Chances are he could re-gram your photo and that gives you access to all his followers, which would be awesome. Giveaways are a popular thing to do on Instagram. Giveaways work, temporarily, and it is recommended to include them in your growth strategy. However, you want loyal customers. Once people find out they didn’t win the giveaway, what are you going to do to make them stay? You want your followers to ask their followers, or tag a friend, who will connect with your page. It is like word of mouth referrals but for techies. It is up to you to provide interesting content, incredible photos and follow that up with a “please tag your friends” suggestion at the end. Posting once a day is essential. Posting once a day and then jumping off Instagram or jumping to another social media platform will not get you a lot of quick growth. Part of your strategy should be showing the love to some of your followers, or to Instagram users you think are shareworthy. Make their day by liking one of their photos. It would be very cool to randomly pick a photo and share it with your followers. By doing this, you have tapped into hundreds, maybe even thousands of other potential followers. Find those Instagrammers who have massive followings and ask them if you can be a guest contributor on their account for a few hours or a day. This is one strategy Melyssa Griffin advises you to do, and she is an Instagram guru. Provide guest posts that are relatable to the followers on that account. Win them over with your charm and by showing them you like what they share. The use of videos is on the rise. People love to watch great videos, especially when they are brief, engaging and show your personality. Videos don’t have to be complex. A unique way to use videos is to introduce a contest you are sponsoring. Your video will announce the contest, the rules and the reward. For example, if you are a cat lover, ask your followers to post their favorite video or picture of their cat, dressed up for Halloween. You review, choose the winner and reward the cat with the best outfit. Do not spend a lot of money on a reward. People love to participate in contests and sometimes do it for a shout out. Video is a terrific way to speak to your followers and gain new followers who were tagged to enter the contest.